We are having quite a winter here in southwestern Montana, with lots of snow and below zero temps. 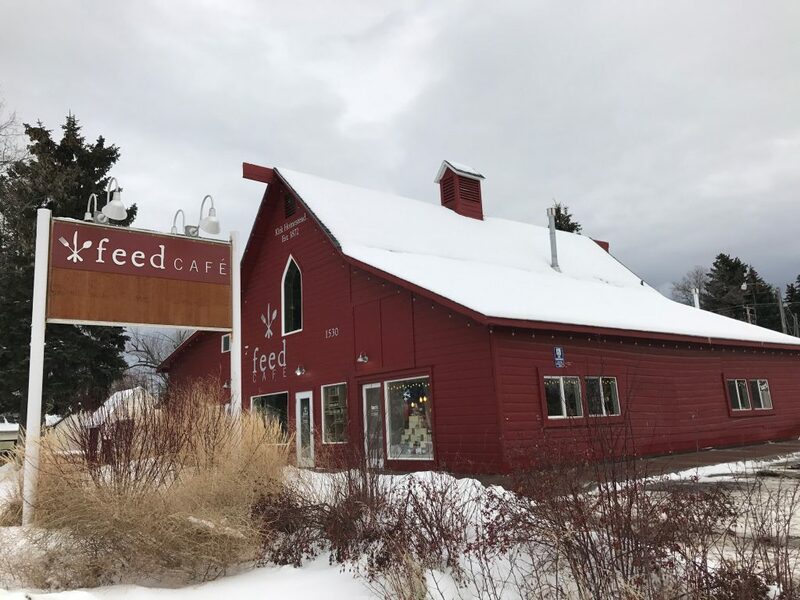 If you can make it out of the house, come sit by the fireplace here in feed and treat yourself to a warm beverage (or two) and a hot meal. Trying to stick to New Years resolutions? 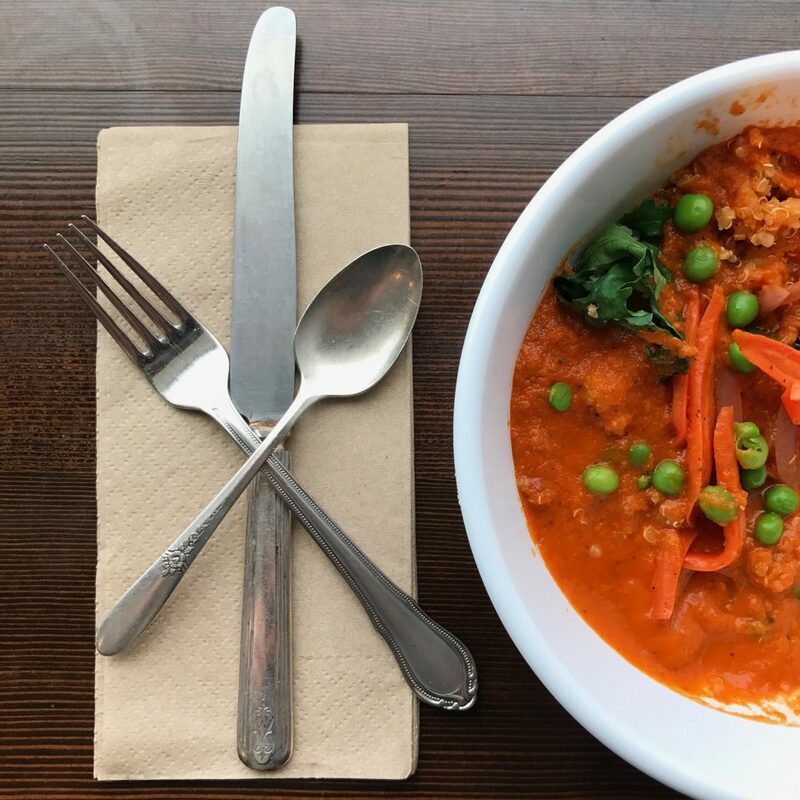 Our quinoa soup bowl is both healthy and easy on your wallet. The Thai chile basil soup we have on special right now goes perfectly with the organic quinoa and power greens! Trying to kick the coffee habit? 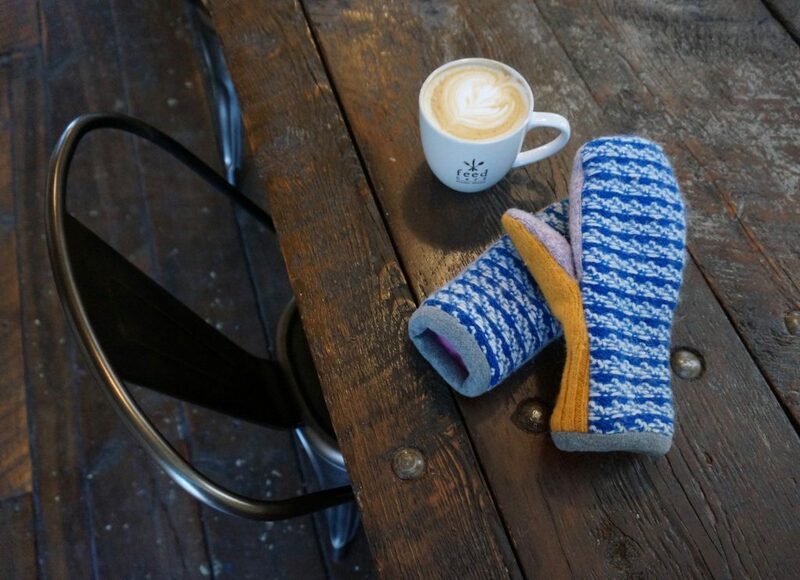 Ease yourself off with tea. 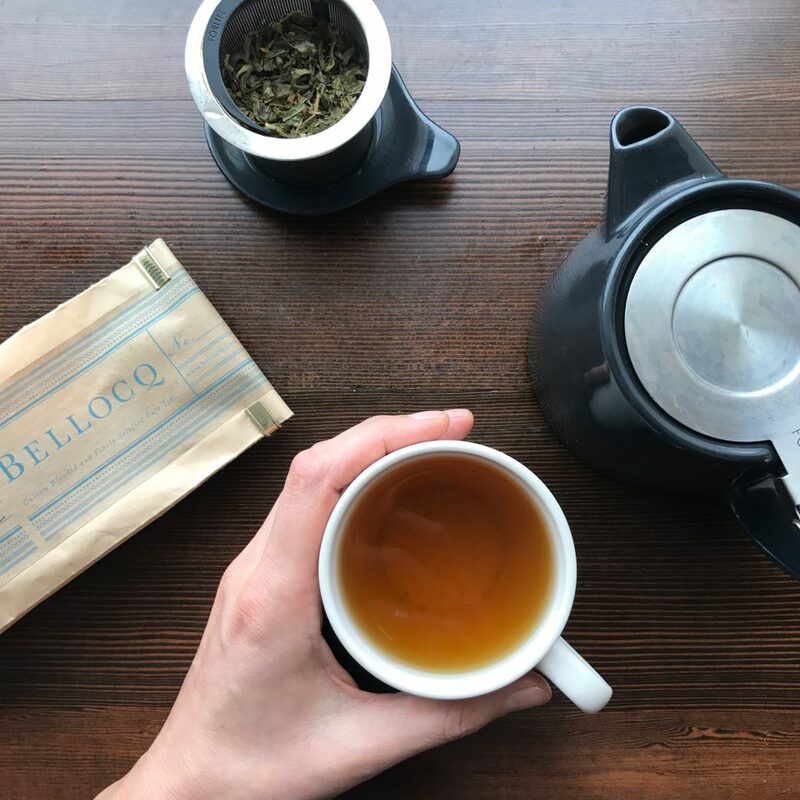 Bellocq teas come in a variety of wonderful flavors, with a varying amount of caffeine. 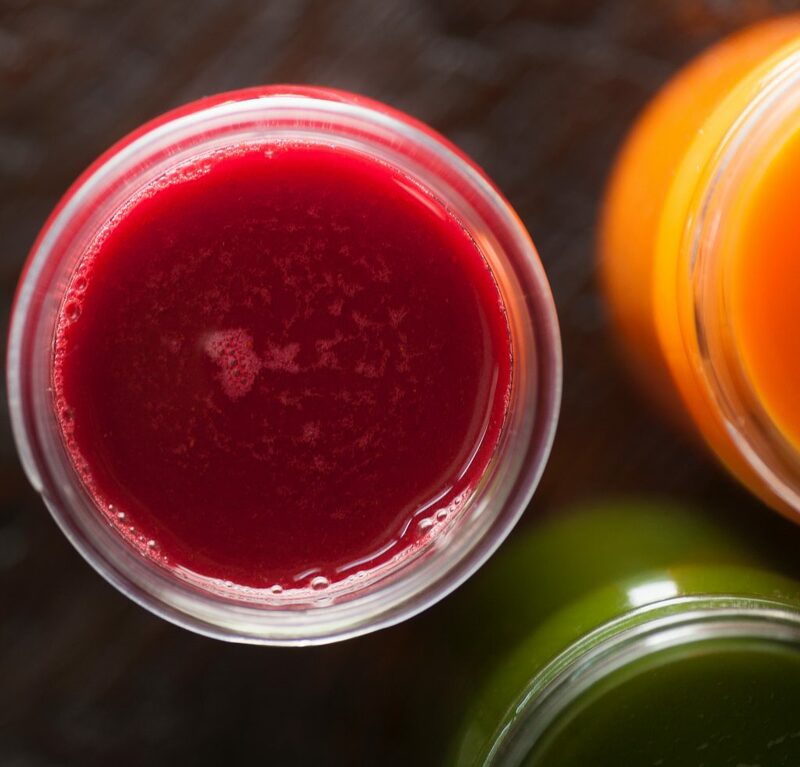 We cold press our juices right here, so they’re always as fresh as possible, and full of delicious and nutritious fruits and vegetables. Do you love this time of year, and all the flavors and colors and memories that go with it? 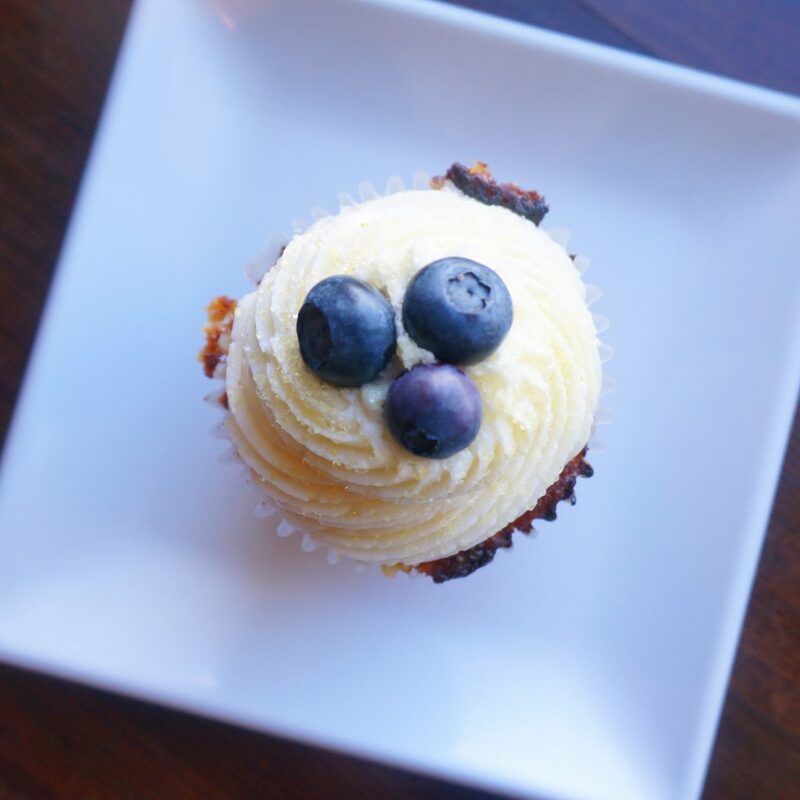 If so, you might love the treats our bakers and our baristas are turning out! 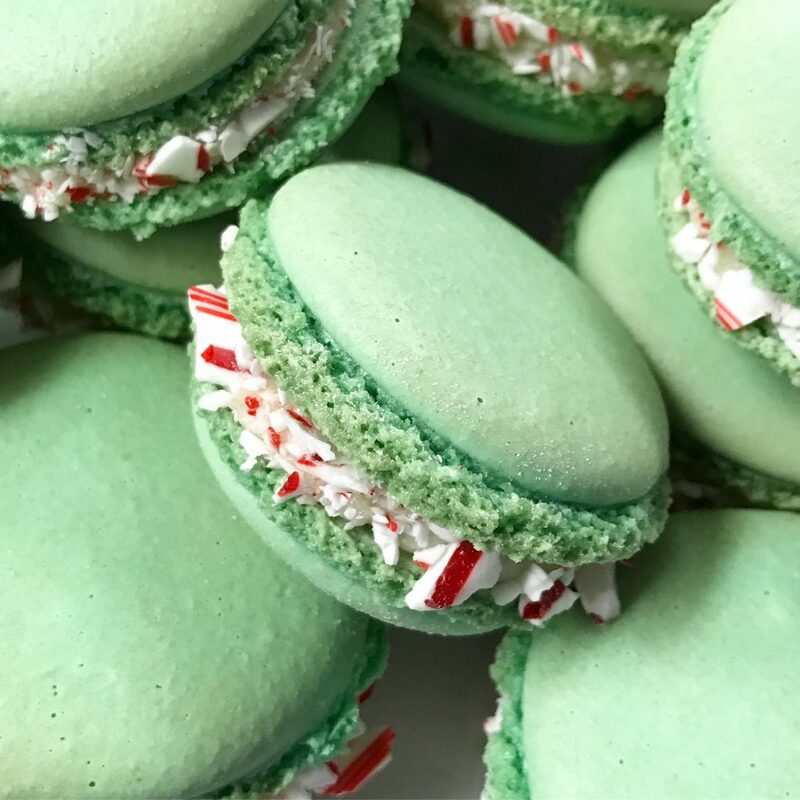 These macarons are festive and delicious, with peppermint filling and crushed candy canes. This drink special will put you in the mood for some holiday shopping, while giving you stamina. 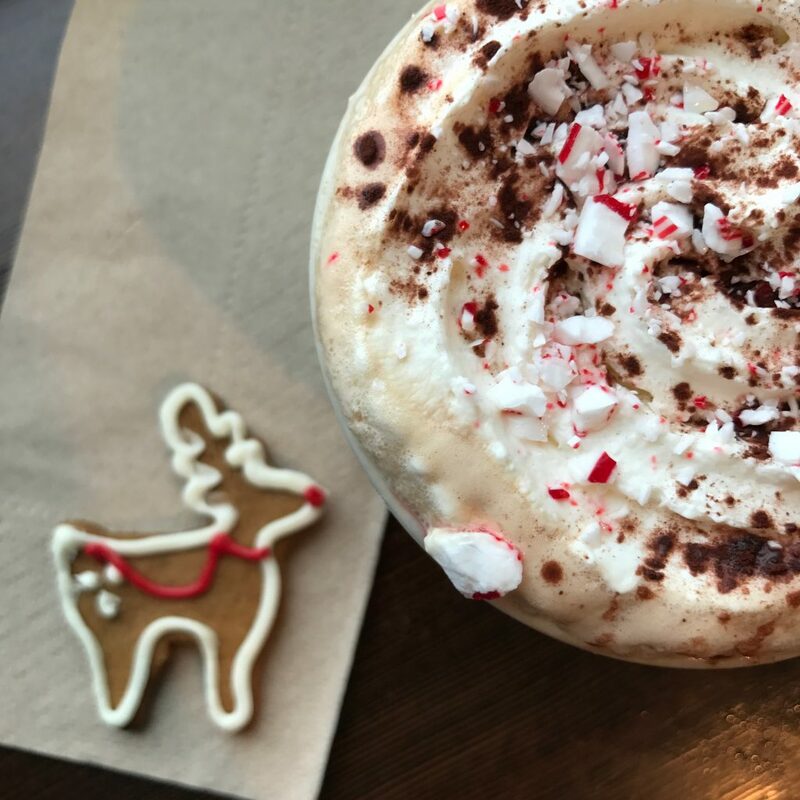 That’s a peppermint mocha made with delicious woodblock chocolate, espresso, whipped cream, and candy cane sprinkles. Pairs perfectly with a gingerbread reindeer! 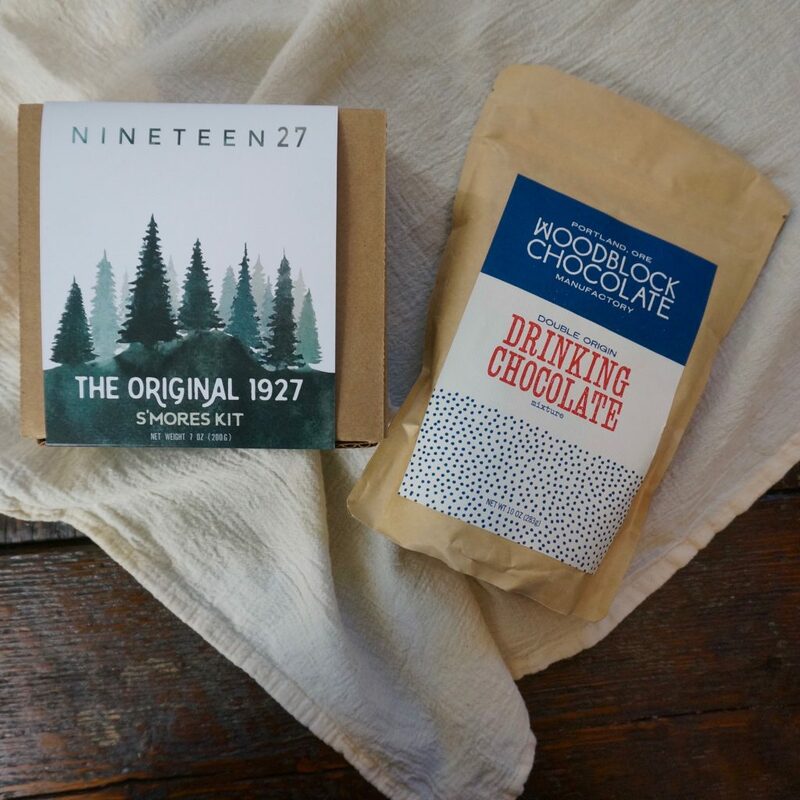 We are delighted to introduce a new vendor in our general store – nineteen27 s’mores from Portland, OR. 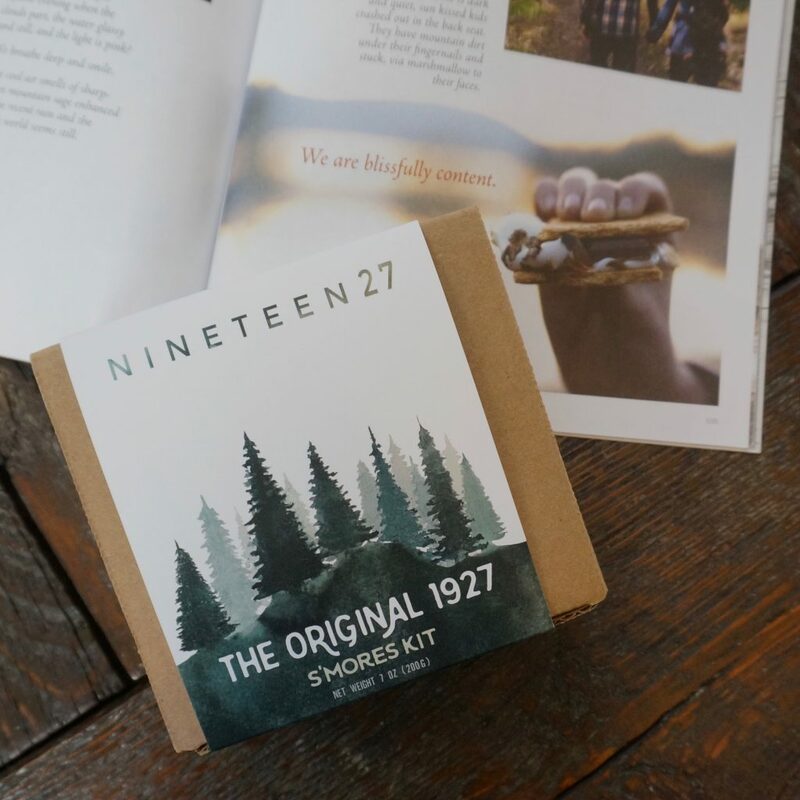 Owned and operated by James and Elise Kelly, nineteen27 s’mores came by its quirky name because the first s’more recipe ever documented was in a girl scouts booklet in 1927. If you’re ever in Portland track down their portable s’mores cart (psssst Bozeman we need one of these!). They also create s’mores kits and artisan marshmallows, both of which we have available for sale in our mercantile. We’re loving putting their dreamy, pillowy soft marshmallows in drink specials. 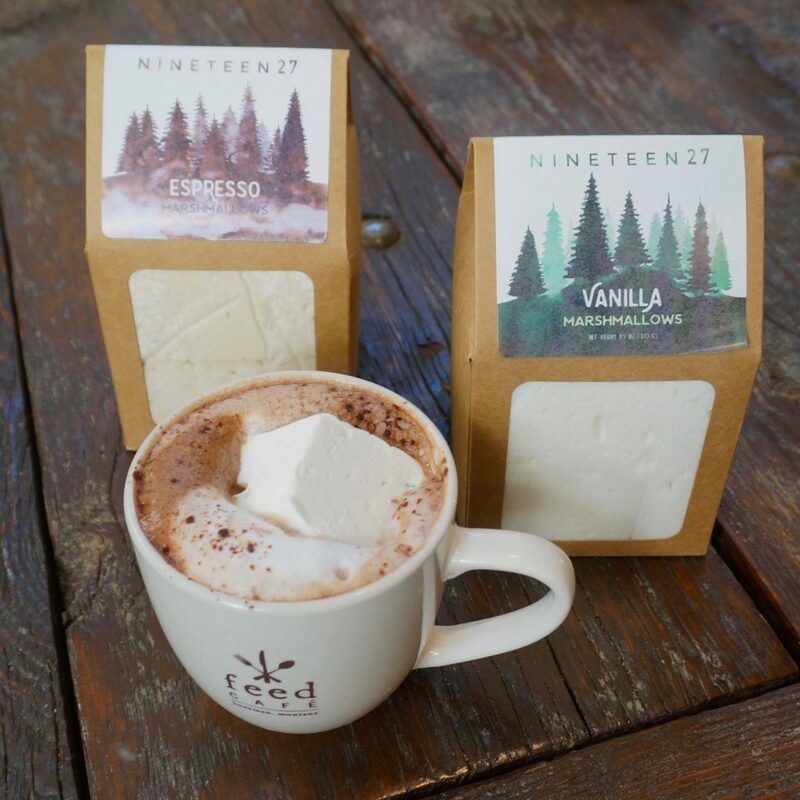 Nineteen27 marshmallows in a cup of Woodblock Hot Chocolate, while reading the latest issue of new local magazine Park + Life is all the ingredients for a sweet escape either here at Feed or at home – we can send you with all the ingredients but the milk. Their graham crackers and marshmallows are made from scratch in Portland, and they use high quality chocolate from Portland chocolatier Missionary Chocolates. The difference from the s’mores of our childhoods is noticeable. Give them a try! Yes, it’s that season! Love it or hate it, fall hits and the pumpkin spice comes out of hiding. 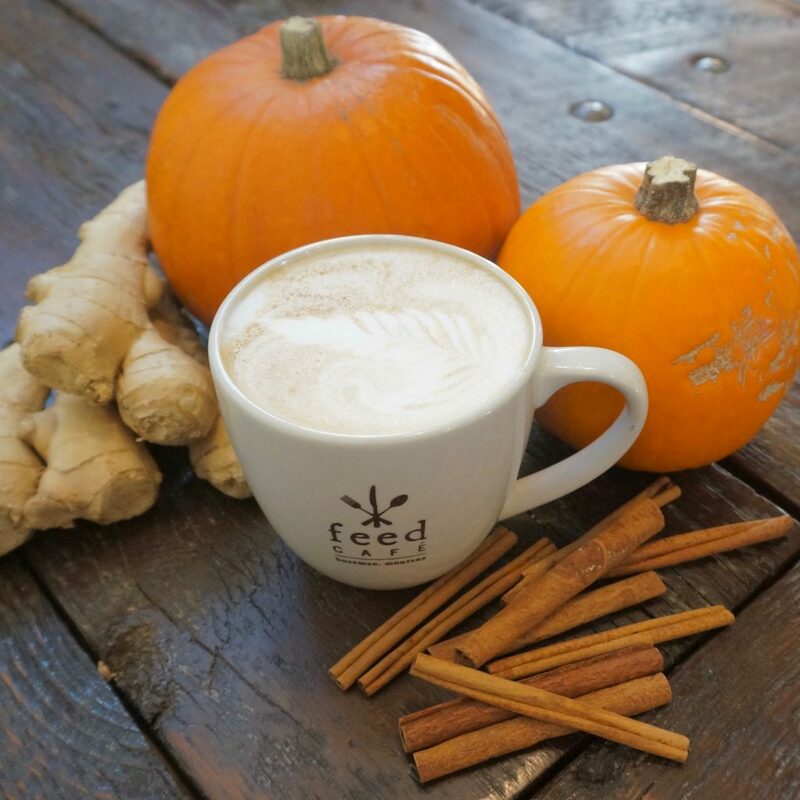 We make ours in house with spicy ginger, warm cinnamon and sweet cloves. It’s sweet but not too sweet, for the perfect blend of sugar and spice. It won’t be around forever, so if you’re a fan get on in here to try it!